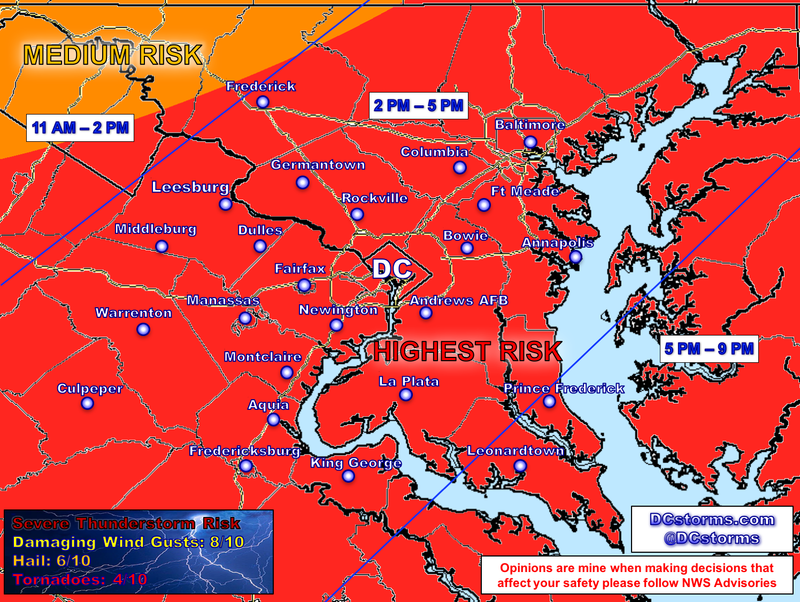 Many ingredients are coming into play on Wednesday afternoon for a potential widespread outbreak of Severe Thunderstorms across the Mid-Atlantic. 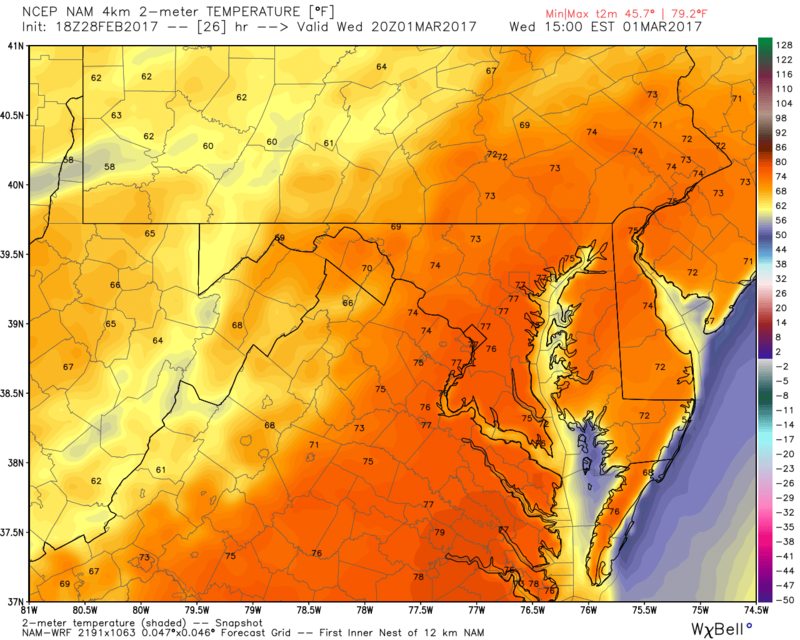 The preliminary map above is based on the latest high-resolution models. The big question mark in my mind this evening is whether or not left-over convection (thunderstorms) in the Midwest (seen in the image below) will actually impact the far northwestern zones (panhandle of West Virginia and Maryland) during the morning rush hour. 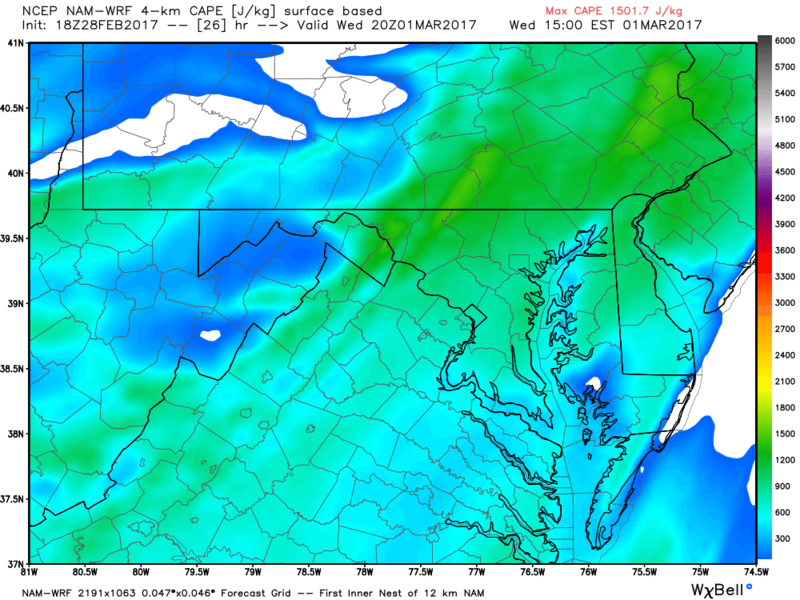 Any morning convection may dampen afternoon CAPE values across those areas as the main line of thunderstorms arrives in the afternoon. These areas are not out of the woods by any means but could keep the strongest storms a bit further south and east where daytime heating would reach its peak. Severe Thunderstorm and/or Tornado Watches are likely for parts of our region tomorrow afternoon. Please closely monitor watches and warnings issued by the National Weather Service in Sterling (www.weather.gov/lwx).